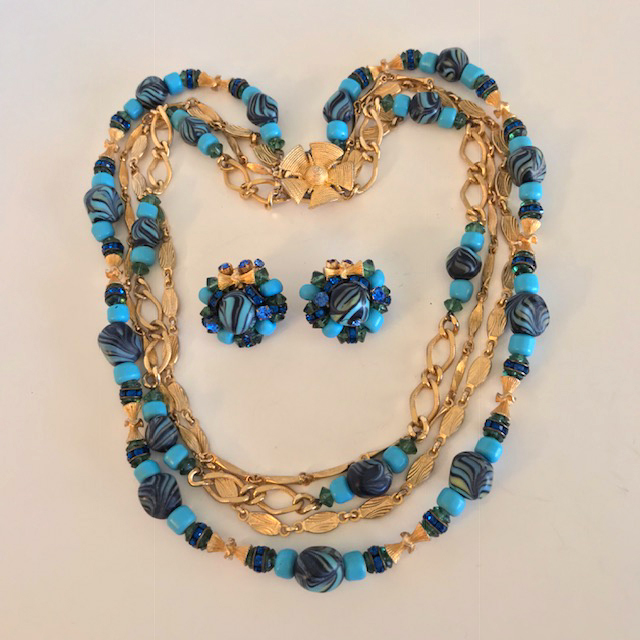 HATTIE CARNEGIE aqua and dark blue glass peacock swirl bead necklace and clip back earrings. 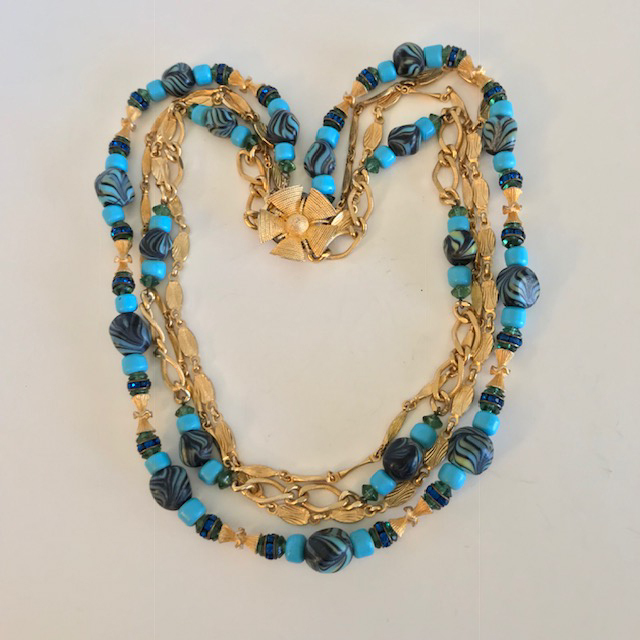 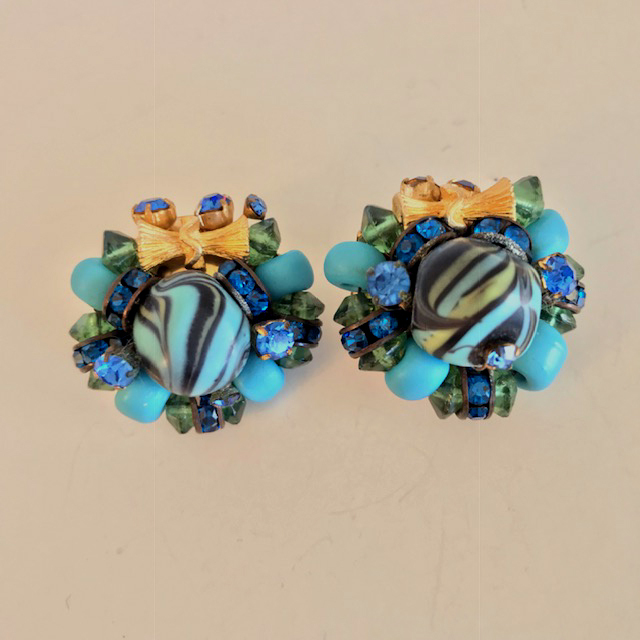 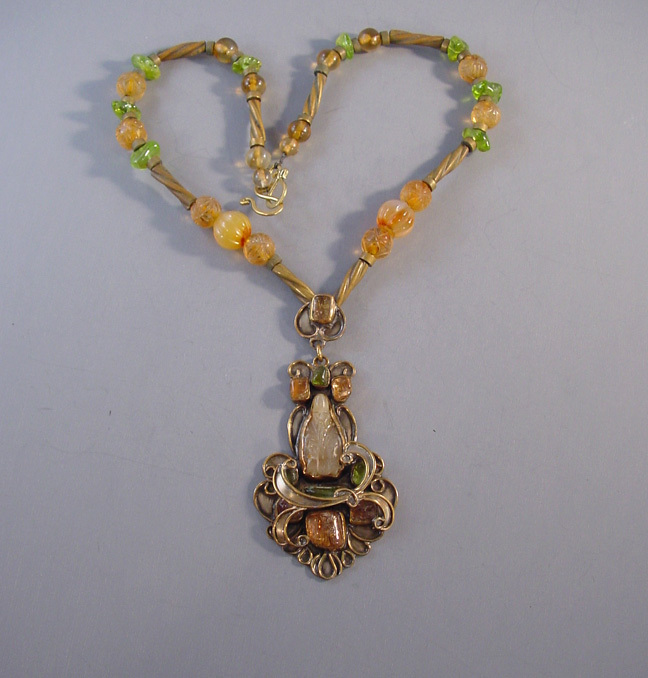 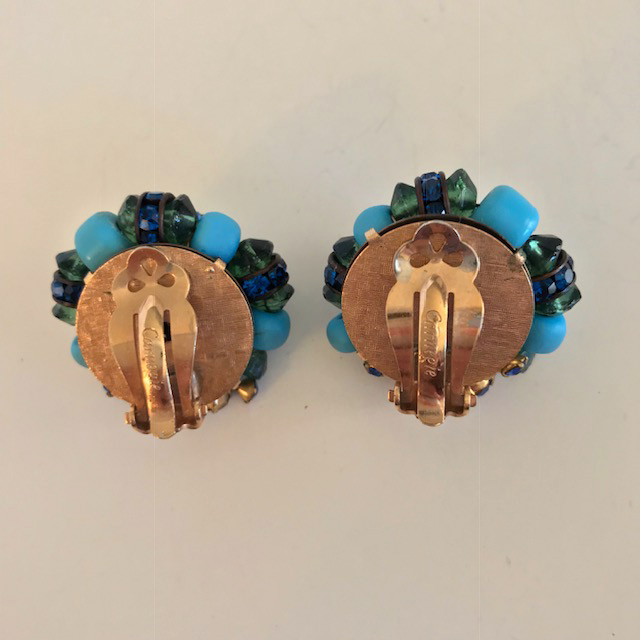 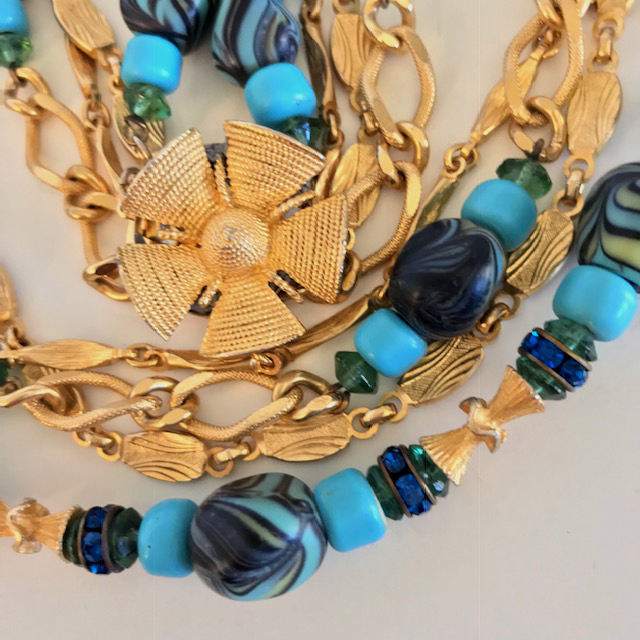 The beads are accented with rich blue rondelles, faceted transparent saucer shaped green beads and gold tone flowers, chains and findings, just gorgeous. 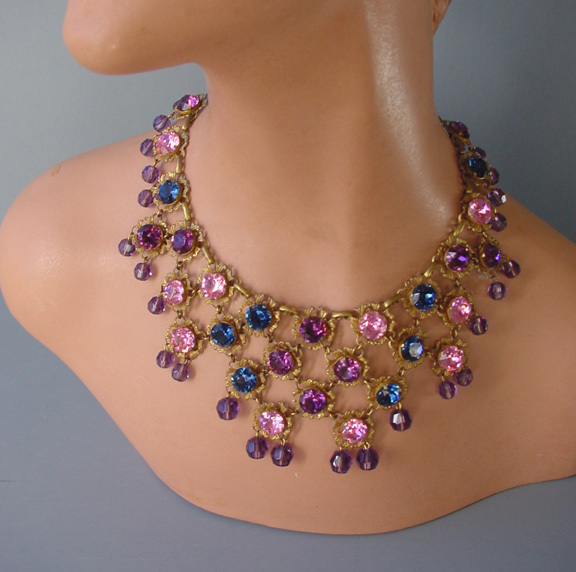 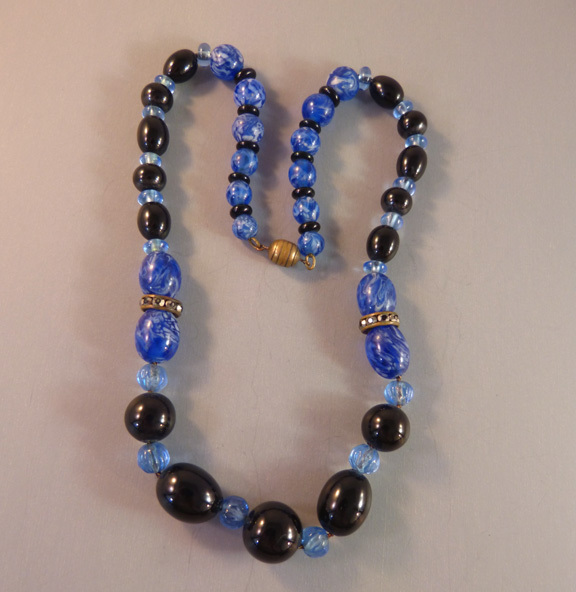 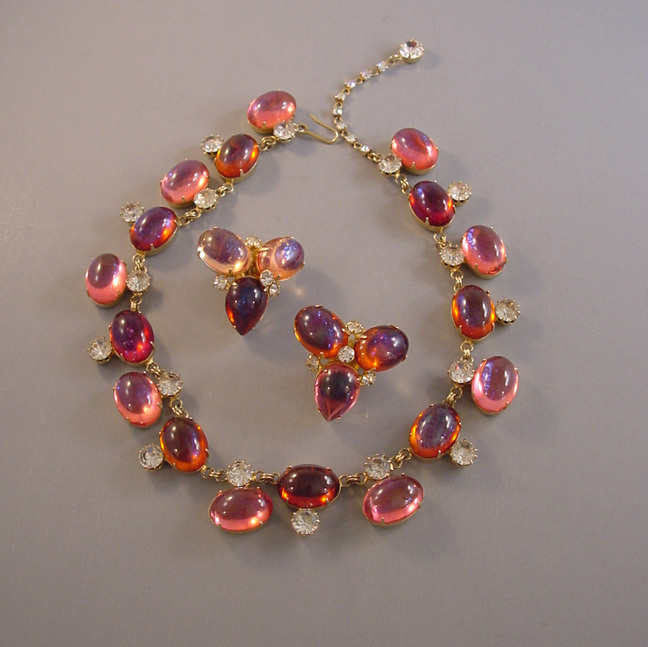 The necklace is a wearable size of 19" and the earrings are 1-1/8".